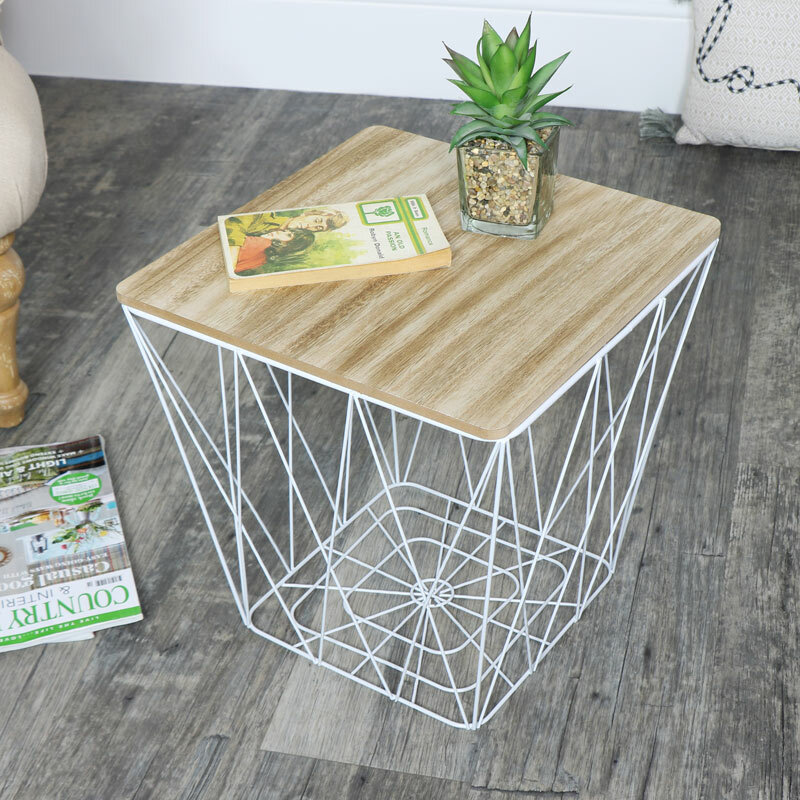 Square metal wire & wooden basket style occasional table. Minimalist Scandi style for the retro, loft living & industrial themed home decor. 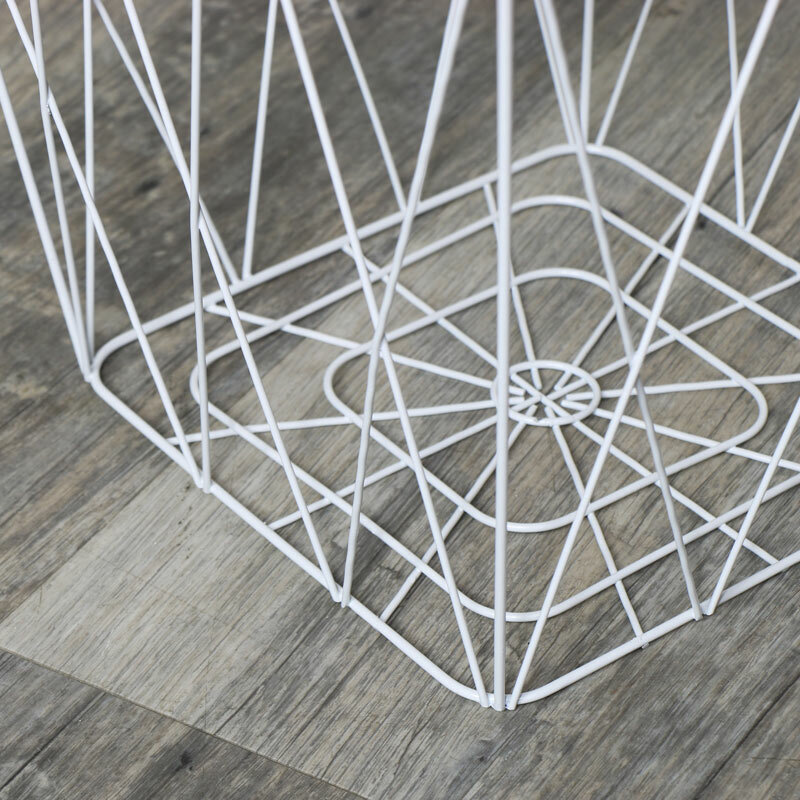 White finished wire metal base with square wooden top. Perfect side, end table with practical storage. With even more tables available in this great design. We have a superb selection of tables and storage that are both stylish, affordable and perfect for every home. 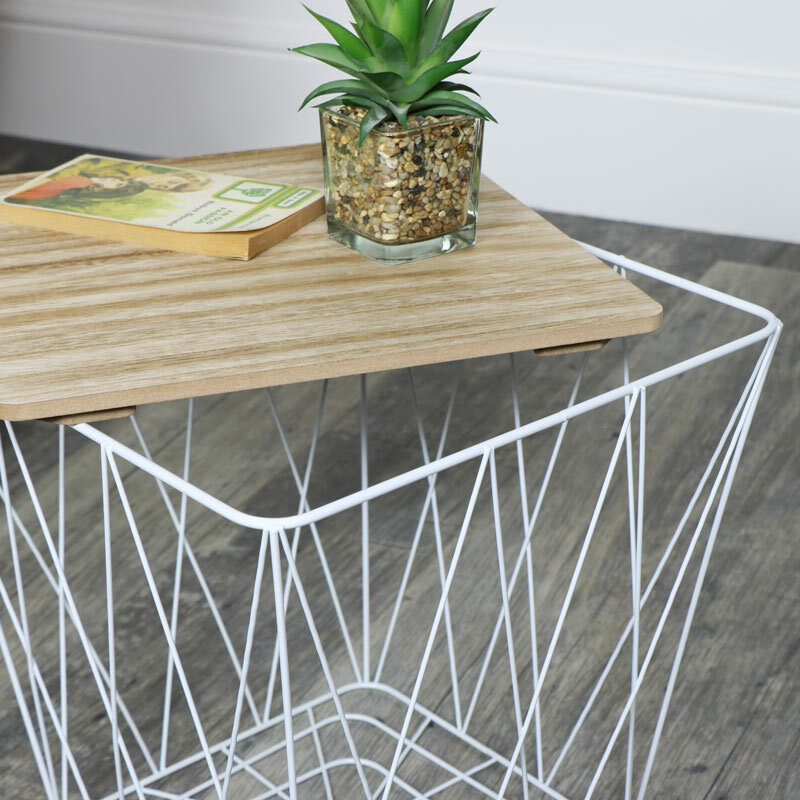 Square metal wire & wooden basket style occasional table. Minimalist Scandi style for the retro, loft living & industrial themed home decor. White finished wire metal base with square wooden top. Perfect side, end table with practical storage. With even more tables available in this great design. We have a superb selection of tables and storage that are both stylish, affordable and perfect for every home. In a sturdy design, made from metal wire in a white painted finish with natural wood top. The table top sits neatly on top.